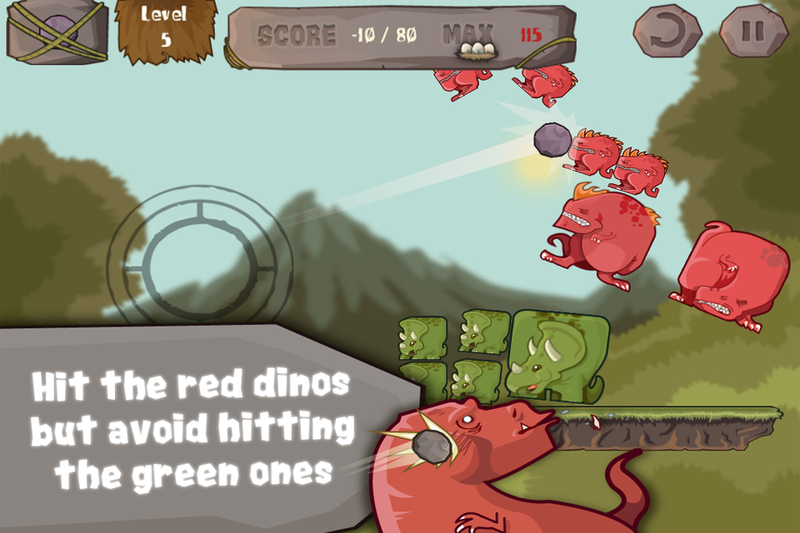 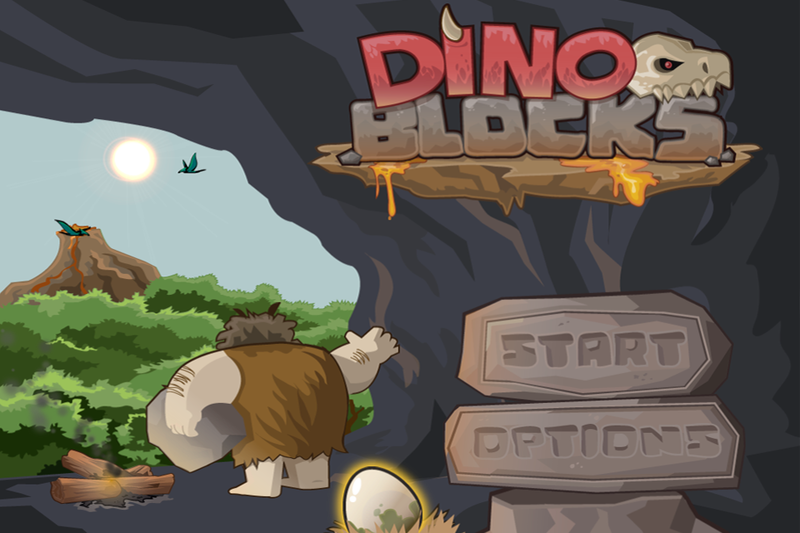 Help the green Dinos to recover the eggs through all the maps and levels. 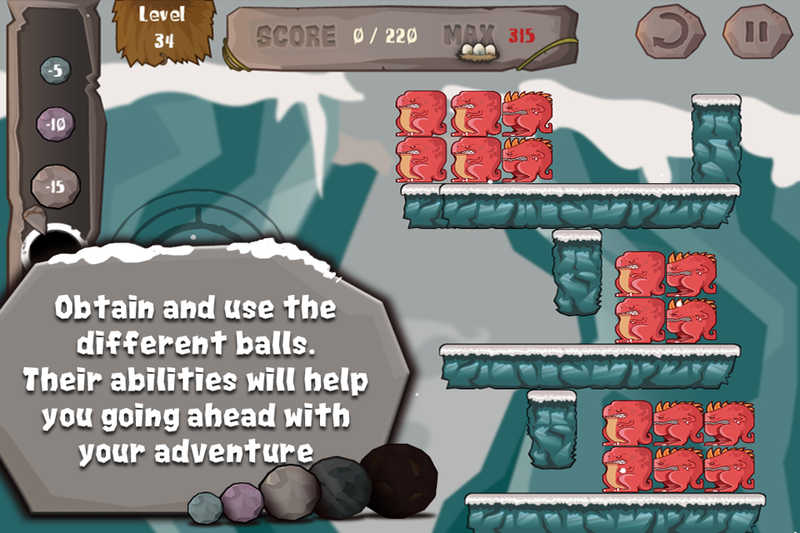 Rocks are your weapons. 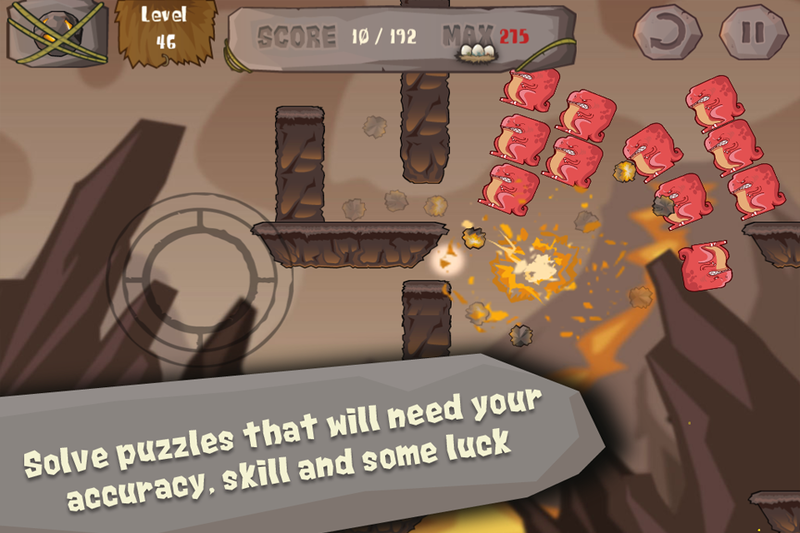 will test your aim and inventiveness. 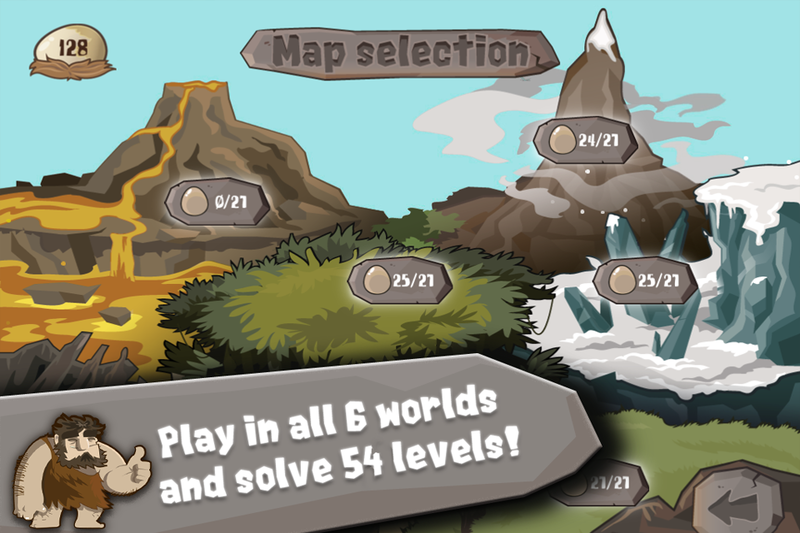 - 6 worlds each with it's own physics!